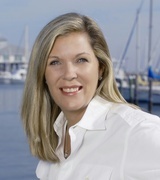 My name is Kelly Creely and I am a REALTOR® - Associate Broker with the Crawford Realty Group. I am a Poplarville, MS real estate agent that caters to both prime residential and commercial real estate properties that are located in Poplarville. I hope you enjoy the information on Poplarville, MS that I am sharing with you. 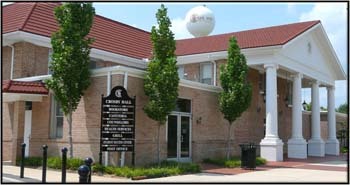 At the bottom of this page is a list of important resources that are useful to both Poplarville, MS residents and visitors alike. Please bookmark and add this page to your favorites and visit this page often. Why Purchase Real Estate In Poplarville, Mississippi? Poplarville is situated in South West Mississippi in Pearl River County on the State of Louisiana. Poplarville is also the Pearl River County Seat. Poplarville was named in honor of prominent community leader, Poplar Jim Smith who maintained a substantial stand of Poplar trees on his property where the Pearl River County Courthouse stands today. "Poplar" Jim Smith traded ten bushels of corn to the local Indians in exchange for his property. His descendants still live in this area. By the 1880s, the New Orleans as well as Northeastern Railroad created a rail line through the location which significantly aided in the locations growth as well as financial progression, particularly in the timber market. When World War I came, the area was buzzing with sawmills. Large sums of money were earned in the timber industries. In early 1923, Pearl River Jr. College was founded in Poplarville and has evolved into one of the most notable Junior Colleges in the United States The school is now known as Pearl River Community College, it continues to offer academic needs of citizens of this region of Mississippi. At the beginning of the 1960s, the National Aeronautical Space Administration (NASA) introduced high technology to the area when it constructed the Mississippi Test Facility, part of which extends into Pearl River County. This brand new testing center was built to test the first two stages of the Saturn 5 spacecraft that were engineered for travel to the moon. Approximately 10 years later, after the Moon Mission was completed, the Mississippi Test Facility was renamed the National Space Technology Laboratories (NSTL). The U. S. Navy, United States Geological Survey, Earth Resources Laboratory, Environmental Protection Agency are some of the departments which have great need for high technology. Scientific researchers have relocated into the area from all over the United States. Of the U. S. civil servants that are stationed at NSTL, one of eight has a PhD. 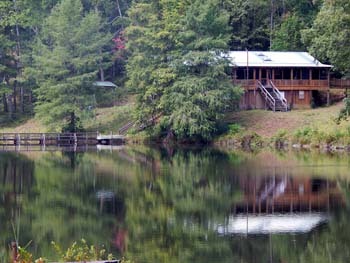 Poplarville has a lovely native environment provides several opportunities for entertainment as well as eco-tourism. Poplarville is conveniently located and is only a 25 minute drive to New Orleans. And, Poplarville is only a 25 minute drive to the most beautiful sugar white sand beaches on the entire Mississippi Gulf Coast along with access to a vast array of terrific restaurants, outdoor attractions, and scenic byways and the excitement of two non-stop casino resorts in nearby Hancock County. And, the cost of real estate is among the lowest along the entire Mississippi Gulf Coast. Whether you are planning to relocate with your family or are looking for a retreat in a country or waterfront setting, let Kelly help you with your real estate investment in Poplarville, Mississippi and guide you through the time consuming process of looking for that special property.